These diapers are the first I grab for. 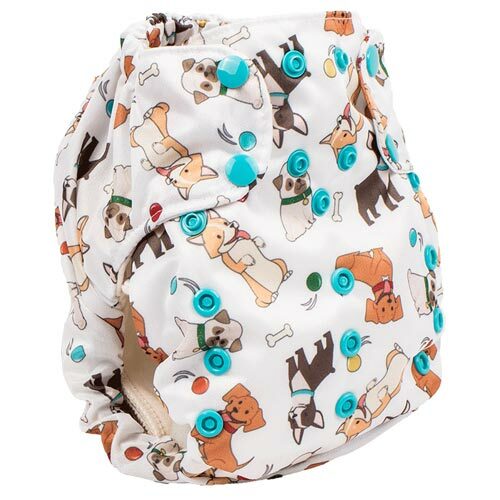 They are our most absorbent all-in-one diaper, easy to wash and super trim. I wish I had a whole stash of these. Worth every penny! I have 3 SB AIO's and love them. They are trim have a 4 step rise and are generously sized. My 29lb 20 mo old with chunky thighs fits these like a glove on the third rise. I have yet to try them on my 8 week old as I have a separate stash for him but if money was no object, I would definitely invest in these. I did find I had to prep these about 8 times before I reached maximum absorbency. Now, paired with a hemp babies insert, my 20 mo old can last upwards of 4 hours easily which is handy for long car rides, nice long naps etc. You can tell the craftsmanship on these are FAR superior to the few kawaii and happy flutes that I have. They just don't compare at all. 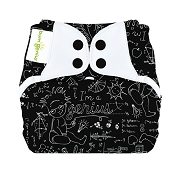 Love these diapers...and the prints... Amazing! We have tried a handful of one size AIOs (blueberry simplex, totsbots, thirties, etc) and this is BY FAR my favorite! 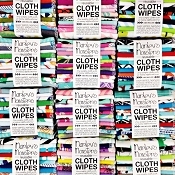 They are everything I want them to be; trim, absorbent, quick at drying and super cute (bonus!). So glad Lagoon Baby carries them! We first tried these along with other one size diapers, around 4months old. I didn't like them back then, we had leaks during naps for example. I'm not sure if it was a prepping or fit issue, but before giving them away a few months later, we tried them again and the fit was great! so I kept them and added a few more. Around 16 months our usual nighttime diapers didn't fit too well anymore, when we figured out these fit great! because they fit bigger, thhe tummy panel fit great on my tall toddler, tummy sleeping! (I just add an insert.) So I totally love them now. If you give them a try, make sure to prep often enough (maybe do a warm water absorption test) and then also make sure the fit is right (there's youtube videos). While I do like these AIOs for being trim, decent absorption, and some nice prints I find them finicky to put on and get a good fit. The rolled elastics can be hard to tuck in just right so I tended to get some leaks at the legs. I also had some problems with blow outs at the legs, not sure if it was because of the elastics or maybe not enough bum coverage. I do prefer the 3.1 over the Smart Bottoms Dream 2.0 (which is also an AIO). I prefer the sewn-in insert, the pocket opening in the dream is hard to stuff and causes an annoying flap, and while SB claims the dream is more absorbent I find they’re about the same. I found out many SB fans prefer the cheaper 3.1. Overall I prefer Thirsties Natural AIO over these. They are just easier to get a good fit because they have encased elastics. The Thirsties are also more absorbent, although the Smart Bottoms are a little more trim. 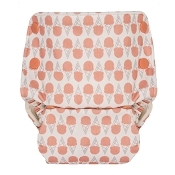 First I will say I LOVE Smart Bottoms prints. I'm disappointed I could never really get a good fit on my boy. For a similar style, I personally prefer Blueberry diapers. These are very absorbent though! I like the detachable insert in the 3.0 version better. These are rather finicky to get on my mobile 7mth old. Even when making sure the diaper is right in the leg creases we still get leaks. My baby has chunky thighs so not sure if she slims down with increased mobility if my feelings will chsnge. I like that they're trim but the absorbency doesn't come up high enough on the rise so PUL ie against baby's skin. 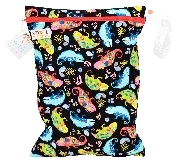 Stay-dry liners are needed or baby will feel wetness against skin. It's also not that easy to add absorbency. Due to the price point I'd probably skip these and stick with pockets, or at least the 3.0 version. I love their prints so much! 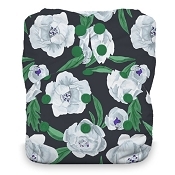 Aqua floral is my favorite diaper for my daughters. However, I have noticed that the liner is very “crunchy” after washing (I line dry my diapers) but will soften up with giving it a quick rub. Great fit!